This husband and wife duo hail from the cozy hills of West Virginia. 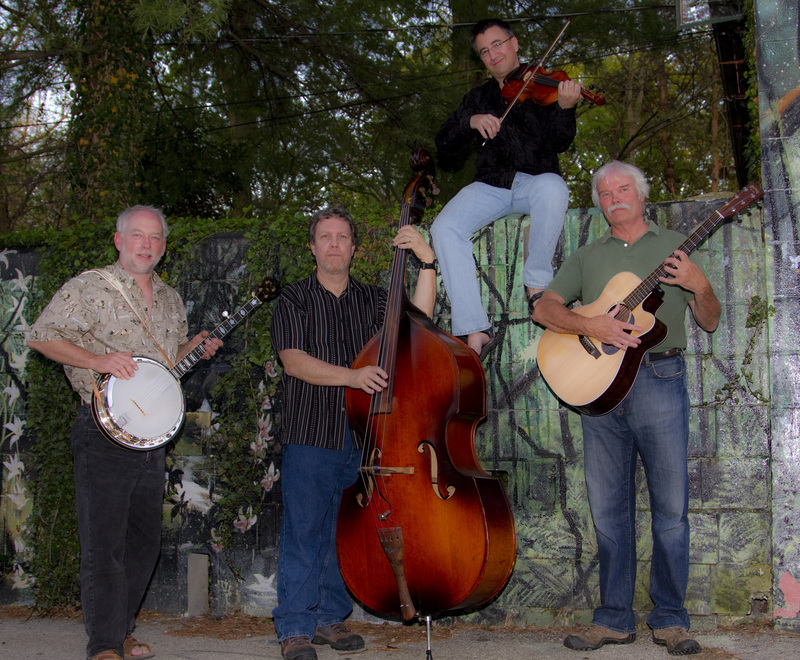 They play unique songs that blend the contemporary folk genre with a bluegrass spirit. Lindsey’s voice often carries her own lyrics which collect friendships, mountain scenery, thoughtful reminiscence, and mixes them into a soothing, energetic sound while Ty backs up her sound with his beautiful melodic style of fiddle and vocal harmonies. Their love of music and for each other is evident as these two play from the heart. 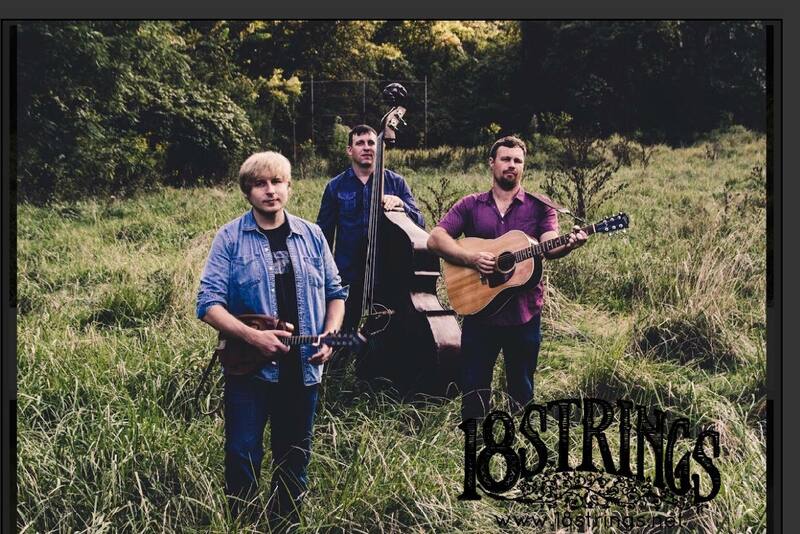 18 Strings is an acoustic string trio based out of Morgantown, WV. The three members come from different musical backgrounds spanning everything from jazz to folk, and rock to classical. The result is a seamless fusion of styles that incorporates smart songwriting, tight harmonies, refined instrumental technique, and an airtight groove. They released their eponymous debut album in mid-2016 and have since signed with Mon Hills Records, with whom they are currently working on their sophomore full-length. Appalachia is a culturally rich region that 18 Strings is proud to call home. Their aesthetic draws from the people of the mountains and their stories. The organic sound of voices, a guitar, mandolin, and upright bass matches the miles and miles of rolling hills that hide centuries of musical tradition. 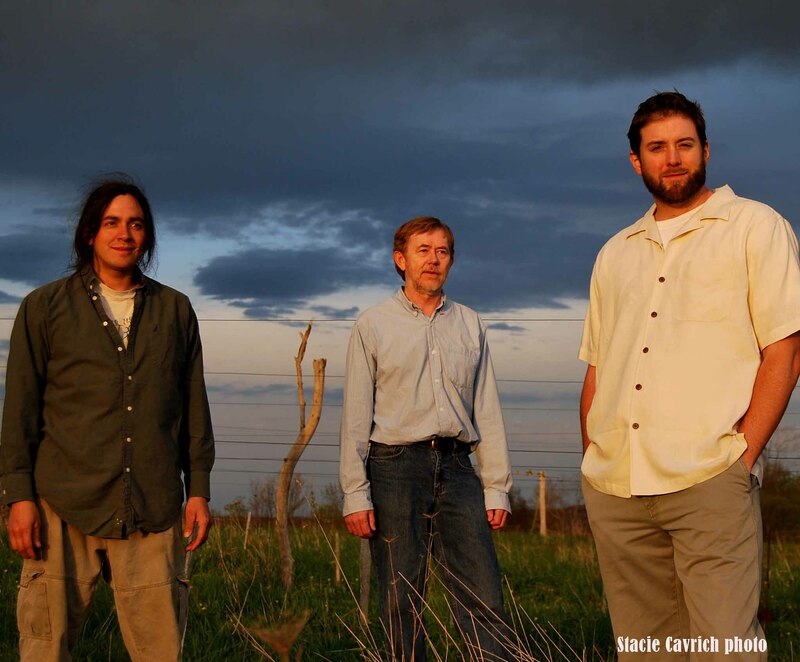 Based in Alexandria, VA, Two Ton Twig explores of the fringes of traditional bluegrass and string band music with their eclectic blend of modern influences. Their second album, Fairydust & Rattlesnakes was released in January 2018 and combines traditional storytelling with themes about the conflicts of modern life, love, and loss. They have performed at venerable DC venues, The Hamilton and 9:30 Club, as well as festivals across the mid-Atlantic. Two Ton Twig is Brandon Boling (banjo, vocals), Donnie Riggs (guitar, dobro, vocals), Alexandra Touzinsky (fiddle, keys, vocals), and Ryan Thomas (bass, mandolin, vocals). 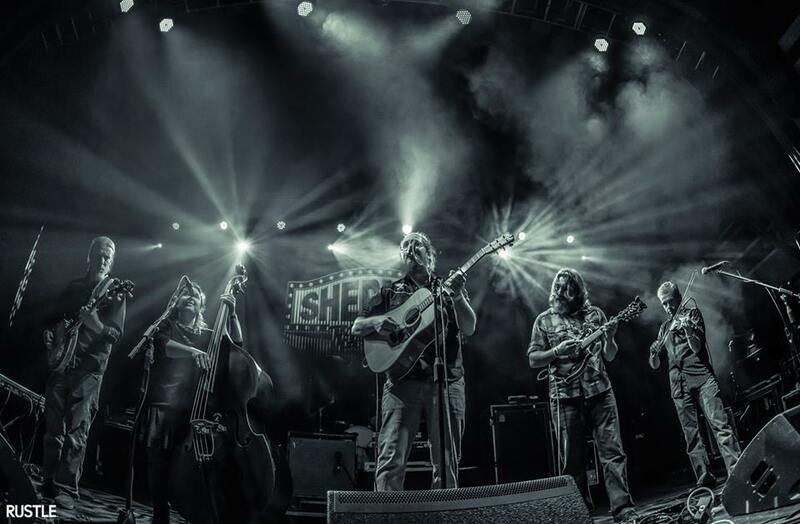 A Cheat Fest favorite, Stewed Mulligan is back yet again bringing their flavor of the old backwoods sound with string band tradition to create music that “could have been birthed in a basement by the illegitimate sons of The Band. If Fat Albert’s Junkyard band had an Appalachian bizarro group, they would be called Stewed Mulligan.” This will be a set you don’t want to miss! EMay is a singer-songwriter in the rock and AAA genre, but her style can be attributed to cross-cultural exposure. Her teachers include grunge rock Grammy record holder Alanis Morisette; Rock and Roll Hall of Fame inductee Jorma Kaukonen; master of Turkish percussion Nicholas Ragheb; the premier Robert Johnson academic Tom Feldman; and many late-night fireside sessions in the hills of West Virginia. Additionally, she studied classical piano in the suzuki method as a kid, gained some insider electronic music tricks one night at Burning Man with Govinda. 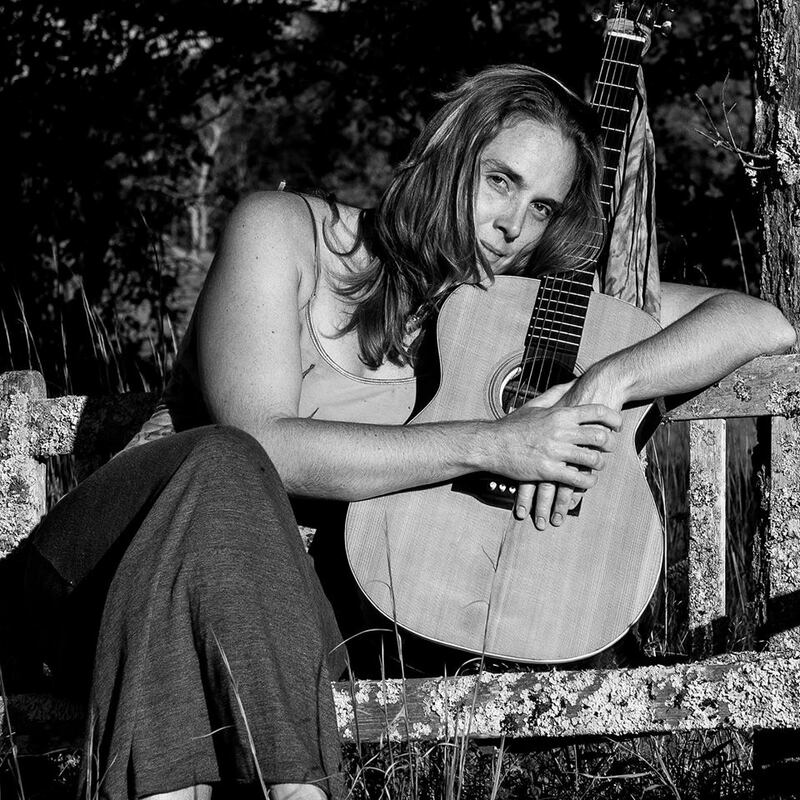 She has opened for 10,000 Maniacs, Toubabe Krewe, Rusted Root, Dar Williams, Loudon Wainwright III, Marcia Ball, The Black Lilies and Cabinet. Beyond music, her collaborations include musicians, dancers and theater companies. The Wild Water Band’s name was conceived from many road trips from Ohio to enjoy the beauty and splendor of the West Virginia waterways in the decade following 1985. When our dear friend Keith Pitzer presented his vision of cleaning up the rivers, we were one of the bands to perform at the first Cheat River Fest!…… It was an honor then…..as it is an honor now! Co-founder Michael Kalter plays his Martin guitar while singing most of the lead vocals. Chip Pritchard adds the lower frequencies while play the upright bass and is vocal coach. Doug Hamilton gives the best violin / fiddle while singing as well. Michael Clutter has deep roots in the mountains of West Virginia and plays banjo and mandolin. Wild Water Band wants to help promote Keith’s vision any way and anytime we can. Now in their 15th year, the Halftime boys have entertained barflies, river rats, saints and sinners from Sitka to Summersville. Wielding a wealth of remarkably aimless musical precision, their performances weave a rich fabric of perplexing textures and invoke a wide variety of emotional responses. ​The Waitmen are Appalachian soul — stories about life in the hills; songs about surfing, struggle & redemption; love & light in the darkness. In just three years, Mountain Ride evolved from playing traditional bluegrass, to writing, recording, and performing their own original music. Eric Avey (guitar) and Kate Avey (bass) started Mountain Ride as a side project to cure their bluegrass bug. Once Scott Matlock (violin) and Corey Woodcock (banjo) joined the ranks, things started to sink up. When Chance Hurley (mandolin) jumped on board, there was no denying that they had something special. So now, celebrating the release of their third album One Place To Go (October 27, 2017), Mountain Ride is original Pennsylvania bluegrass. 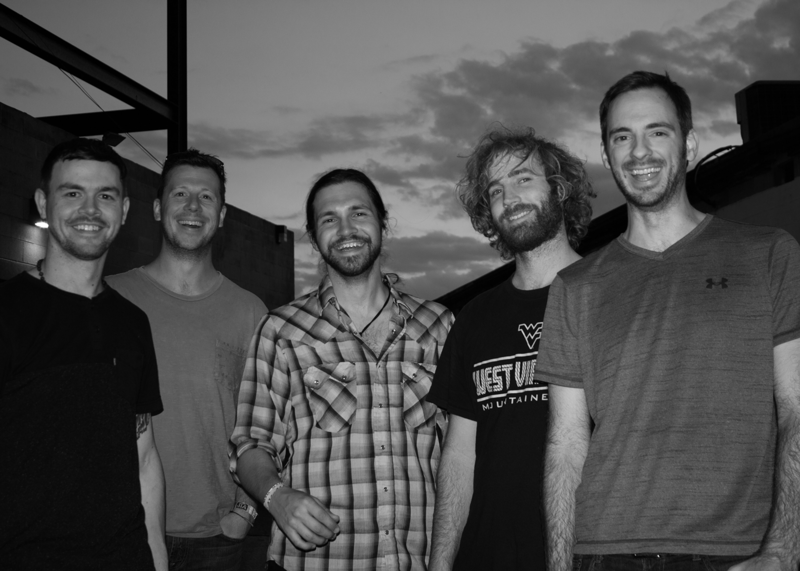 Although, the quintet primarily tours the east coast, the Colorado newgrass influence is obvious in their sound. Mountain Ride was honored to be selected as a Grey Fox 2017 Emerging Artist, and even more thrilled to be returning to perform the main stage in 2018. 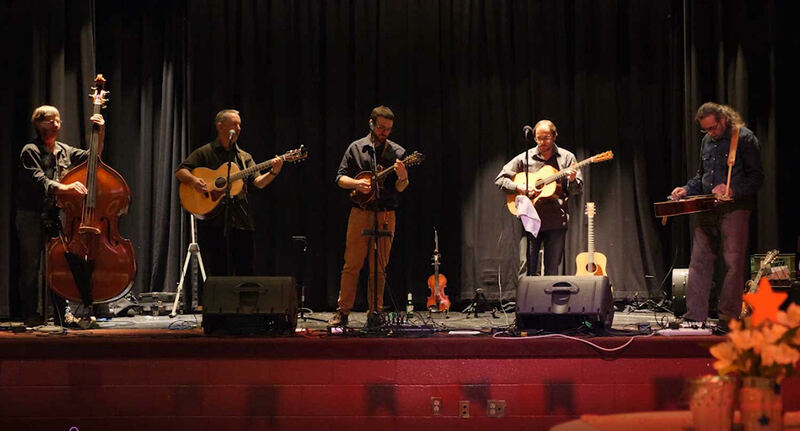 In addition to Grey Fox, they will also be wowing crowds this summer at Del Fest, Charm City Bluegrass, Gettysburg Bluegrass, and Watermelon Park, to name a few. 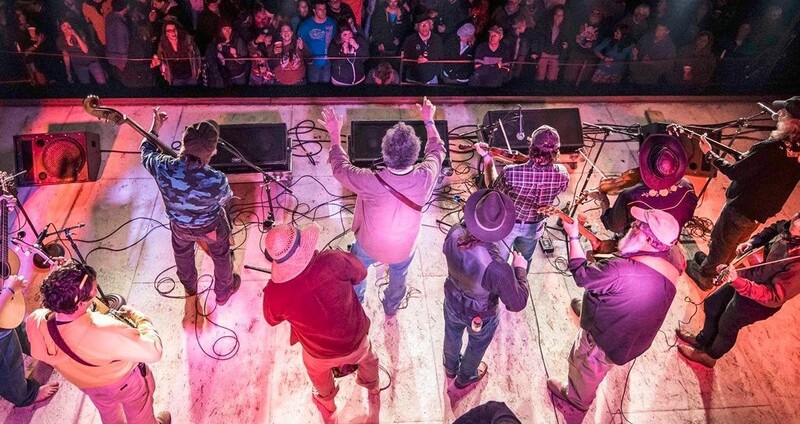 Mountain Ride has had the pleasure of opening for Railroad Earth, Cabinet, New Riders of the Purple Sage, and Larry Keel. 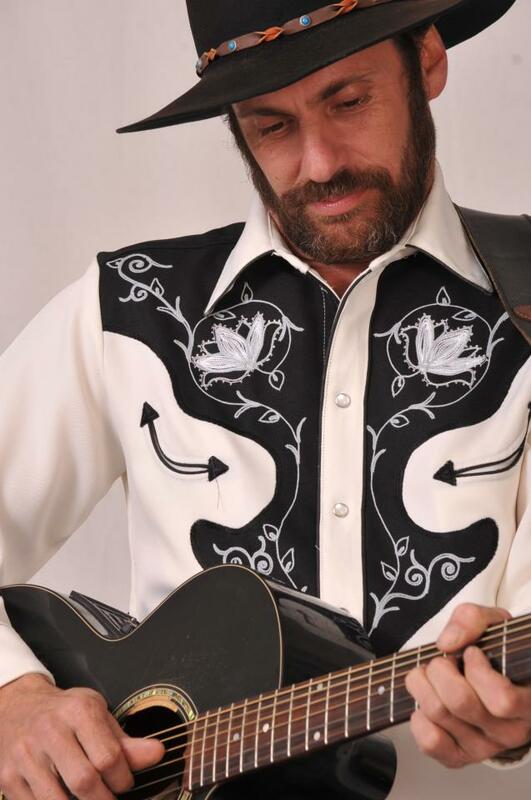 Mike Pushkin and the Loyal Opposition is a band of Veteran Entertainers from WV’s Music scene located in Charleston WV. 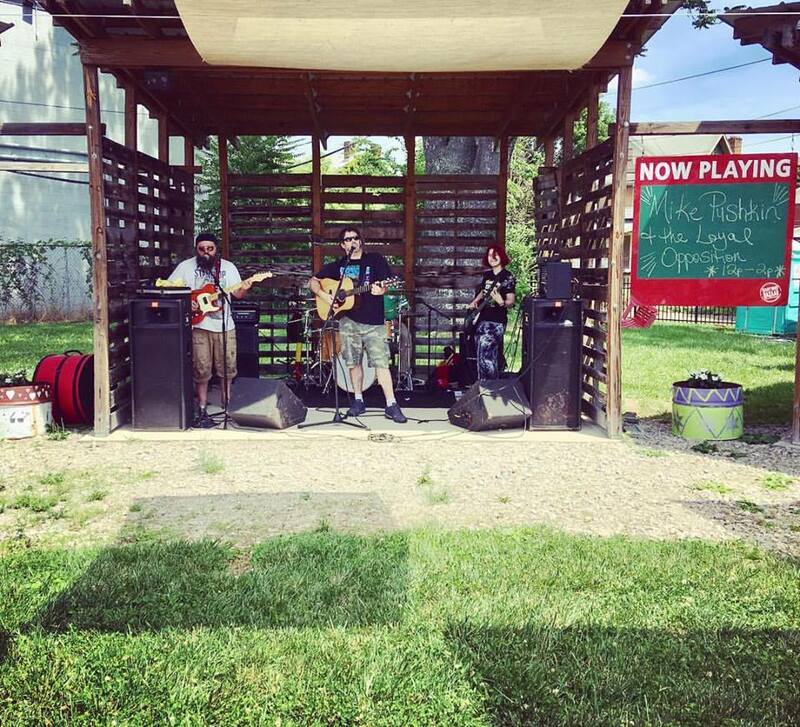 Presented by 123 Pleasant Street, Strung Like a Horse is a high energy gypsy punk grass band based in Chattanooga, TN. They are coming fresh off of their third official release, FREE, and touring nationally. Your first taste of Strung Like a Horse is like that first sip of moonshine—it will blow your hat off your head and it’s far more intoxicating than you expected. They draw inspiration from folk punk bands like The Violent Femmes, but their roots are buried deep in the good ol’ fashioned home-made hillbil-ly stomp grass. These junkyard dogs bring “honest, playful, headbangingly interactive fun” to any venue their rocket crashes. 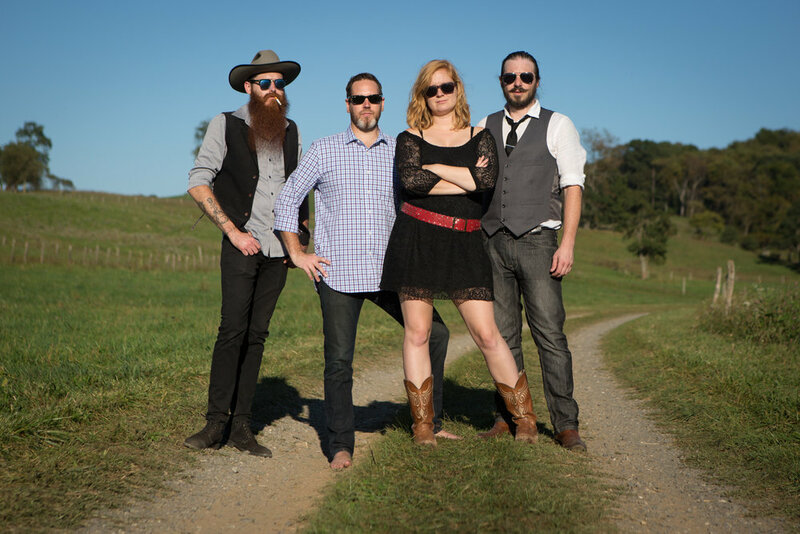 Known for their high-energy shows, the band mixes a fierce rhythmic foundation, dual guitar solos, and an Appalachian tinged mix of genres that makes standing still nearly impossible. By focusing on musical intricacy and creating seamless improvisation, Fletcher’s Grove has captured the imaginations of thousands in the Mountain State and beyond. Fletcher’s Grove has hit the festival season’s hard playing festivals like All Good Music Festival, Hookahville, Summer Camp Music Festival, The Werk Out Music Festival, Highland Jam, Kind Roots, Hookahnanny, Hookah in the Hills, Masquerade Ball, Camp Barefoot, WV State Fair, Mon Arts Festival, Woodlands Spring Jubilee, Live on the Levee, Recipe Family Cookout, and Halloween Masquerade Ball. 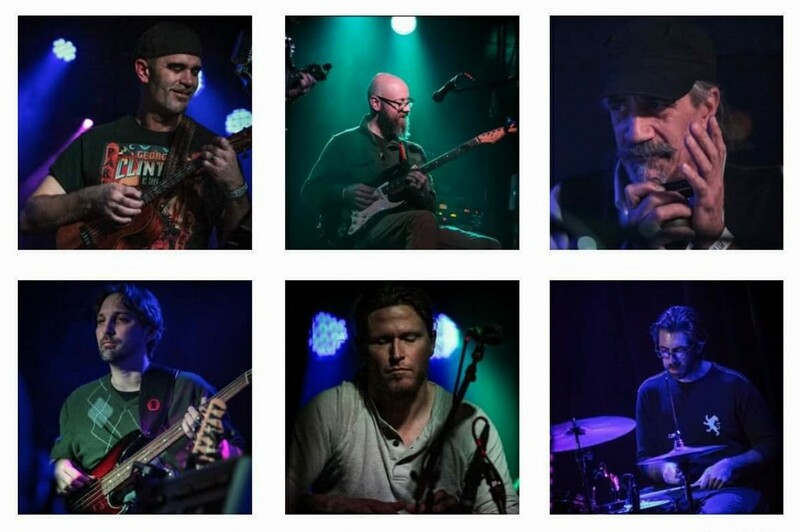 Fletcher’s Grove plays over 100 shows and festivals a year, sharing the stage and line-up with bands such as Furthur, Primus, Yonder Mountain String Band, Umphrey’s McGee, Dark Star Orchestra, Gov’t Mule, Rusted Root, Papadosio, The Werks, Ekoostik Hookah, EOTO, STS9, The New Mastersounds, Larry Keel and Natural Bridge, Cornmeal, Great American Taxi, and number of other talented artist.